Rewarded by Partner Employer Award 2014/15 - Create Tech Software Systems Ltd. 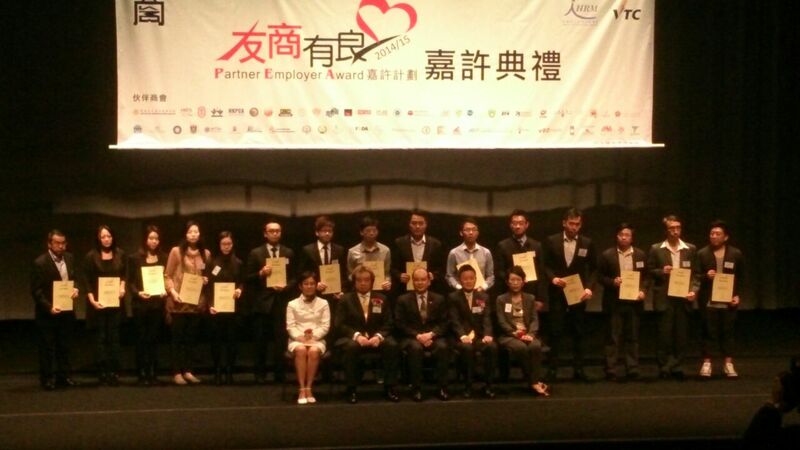 Date: Nov. 29, 2014, Create Tech Software to participate in Hong Kong Chamber of Small and Medium Business(HKCSMB)in Hong Kong Design Institute & Institute of Vocational Education organized the “Partner Employer Award 2014/15” corporate Award Scheme Award Presentation Ceremony. Create Tech Software were rewarded by Partner Employer Award again.